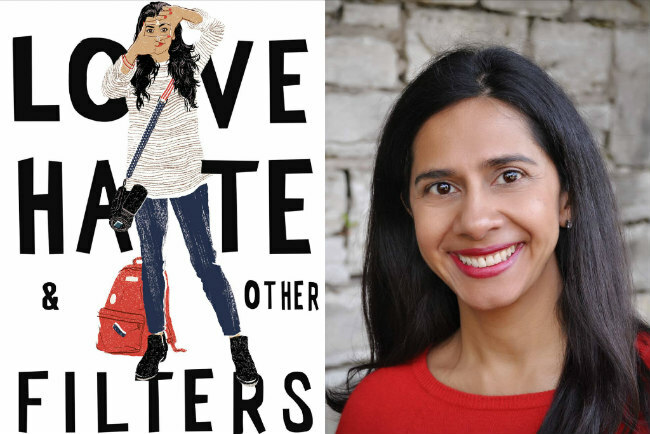 American teenager Maya Aziz is torn between two worlds. There is the world of her Indian parents in which she is married off with a suitable Muslim boy and settles down into the world of suburbia. And then there is the world of her dreams: film school in New York and a future as a renowned filmmaker. She might even add a kiss with the boy she has crushed on for years because he suddenly seems to have realised that Maya exists. The problem is that these two worlds are not compatible and Maya's world is about to change beyond all compare. When a terrorist attack occurs in the city in which Maya lives, the initial suspect shares Maya's last name. Suddenly Maya finds herself in a world of suspicion and Islamophobia coupled with terrified parents who want to restrict her freedom in order to protect her. This is one of those books that tore me right down the middle. On the one hand, I loved it. I loved the way that Maya describes her world as though through a filmmaker’s lens, how she frames every situation and describes the mood and lighting in the scenes of her life. I liked her ambition and drive, her diligence in working towards her goal of becoming a filmmaker. I enjoyed the segments between chapters as the reader slowly comes to realise that something is amiss. I was never quite sure how that was going to pan out and I enjoyed putting the pieces together. The problem I had with the novel was that I didn’t actually like Maya or the boy that she becomes friends with and that was unusual for me – I usually take characters at face-value and accept them, flaws and all. I felt Maya was fickle, initially being all in love with one boy until suddenly she wasn’t. She was also selfish and self-centred, rejecting outright her parent’s religion, their fears, their hopes for the future, especially in the midst of a life-threatening crisis. And then there was the boy who was supposedly a great character and such a support to Maya, when in reality, he lacked integrity and should have been concentrating on his actual girlfriend. Also, considering she’s never been kissed, Maya was pretty bold. In this respect, Love, Hate & Other Filters felt like an adult writing an adult story, not a young adult novel. Ultimately, Maya is not the best role model. Readers seeking to escape the faith or culture of their parents will identify with her. However, those who are seeking to express their culture or faith in an increasingly hostile world will find it difficult to find an ally in Maya. For these readers I would rather recommend Tahereh Mafi’s superb A Very Large Expanse of Sea. Despite these reservations, I did enjoy Samira Ahmed's Love, Hate & Other Filters and I will be reading her next book Internment which was released in March. I give it three out of five stars.